After previous musical unions failed to spark the artistic fire within Maxi Nil and her eternal drive for a heart wrenching passion in her music, she searched for something more. 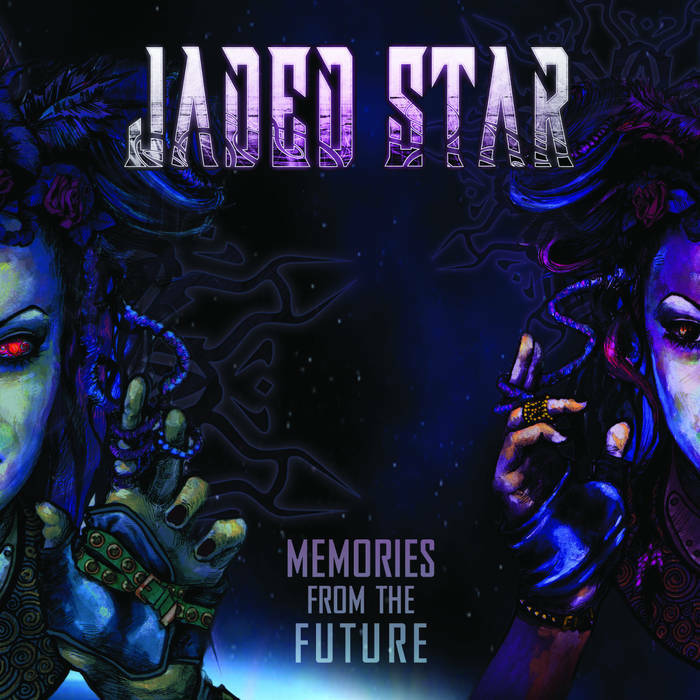 Jaded Star was then founded and signed with American metal label Sensory Records and has since proved it's place as a memorable, melodic, modern, metal band in it's album Memories From The Future. Wake Up opens up the album with soaring vocals creating an audible sense of vivid colour in this track, already dynamically packed full of exhilaratingly anthem-like guitar solos. The passion and skill in guitarist Kosta Vreto is evident in tracks like The Mask where intense drums pave way to unimaginably strong guitar solos as the first track of the album. Melodic soprano and harmony float among pulsing guitars, whilst the drums throughout create a definite skeleton for Nil's vocals to cascade upon. A series of unforgettable hook lines demonstrate the obvious talent of Jaded Star along with Nil's captivating range in vocal ability. In Memory puts a dynamic twist on the album as a passionate ballad. This in itself is another example of Nil's ability to transition from the classic metal intensity to delicate soprano effortlessly. Innocence has a similar effect in its memorable chorus, catchy hook lines and clever use of piano to weave parts of the song together, forming a beautiful mixture of consuming guitar solos and incredible range in this particular track. Healing The Inner Child also involves haunting opening guitar to portray abstract imagery of comforting troubled youth. Vocals intertwine with heavier guitar parts without sounding like Nil is shouting to be heard. However, despite Nil's vocal ability and the over all skill of the Jaded Star musicians, Memories From The Future is in danger of sounding generic and similar to many other melodic, modern metal albums. However, Stars encourages this album to pull away from an otherwise classically generic track with a strong electronic opening. Despite this brief spilling of identity there is still a desperate calling for individuality. Some more unique dynamics in song structure would contribute greatly to this album's already natural demand for attention. A more experimental approach on the structure of tracks rather than a guitar solo opening followed by a climatic explosion of drums, hook lines and then Nil's voice floating in to lead to a large chorus. Although this dynamic has proven to work well and demonstrates Jaded Star's talent and skill, for a larger sense of individuality Jaded Star should pull away from this 'modern metal mould' and use their obvious ability to make something new and more audibly interesting. In conclusion, Memories From The Future is a vocally climatic album with emotional core and evident musical ability. Maxi Nil leads Jaded Star powerfully through an unforgettable journey in this album, never failing to provide with her incredible range and vocal ability.